Manly men become manlier with Calvin Klein, Vichy Homme, Proraso, Jack Black and got2b! 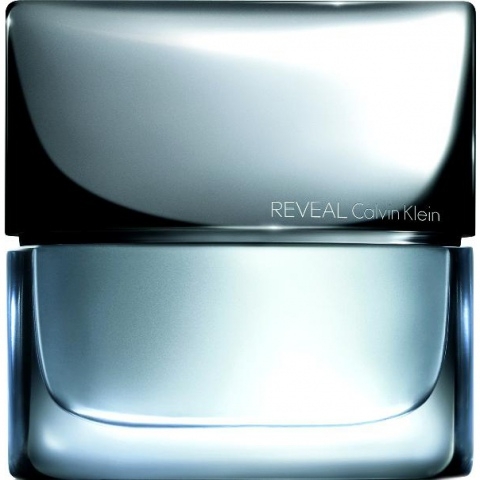 Calvin Klein Reveal Men - 50ml EDT - $72, 100ml EDT - $92, 200ml After Shave Balm - $65, 200ml Hair & Body Wash - $35, 75g Deodorant Stick - $28 - a seductive fragrance with top notes of crystalized ginger, lentisque essence and pear brandy; heart notes of raw salt signature, agave nectar and kiwano; and base notes of Haiti vetiver, vintage vanilla bean and golden amber. Vichy Homme Idealizer Multi-Action Moisturizer in formulas for: Frequent Shaver - 50ml - $25 - a comfortable gel cream enriched with glycerin to leave the skin soft and soothed from the burning, pulling and irritation that shaving can cause; and 3-Day Beard And + - 50ml - $29 - a light fluid that won't leave any residue in the beard but still leaves skin comforted with aquabioryl to hydrate and waxes that coat and moisturize the beard. Both formulas also intensely hydrate, minimize signs of fatigue and reduces signs of aging. Proraso Sandalwood Shaving Soap - 150ml - $9, Cream - 150ml - $9, Foam - 300ml - $10 - with the richest, most hydrating, most effective formulas designed especially for tough, thick beards. Contains: shea butter - for its highly moisturizing and softening properties that protects the skin from dryness in addition to healing nicks and scrapes; sandalwood - for its anti-itching and moisturizing properties that soothe the skin despite repeated scraping; cocoa butter - rich in antioxidants, vitamin E and polyphenols, provides healing, softening, repairing and anti-inflammatory properties. Available at pharmacies and health food stores across Canada. Jack Black Double Duty Shampoo + Conditioner - 473ml - $36 - with a lightweight formula that offers creamy, sulfate-free lather that gently cleanses to remove oil and product buildup while conditioning, detangling, and soothing dry and dandruff-prone scalp and rising clean away so it won't leave build-up. Contains soy protein - to help moisturize and hydrate hair for improved luster and healthy appearance; coconut oil - to leave hair shiny and soft, and is a natural anti-fungal to aid in minimizing dandruff with properties to soothe irritated and itchy scalps; and pro-vitamin B5 - to add thickness, body, and shine. Available in May at Sephora and Holt Renfrew stores across Canada (except for Quebec). 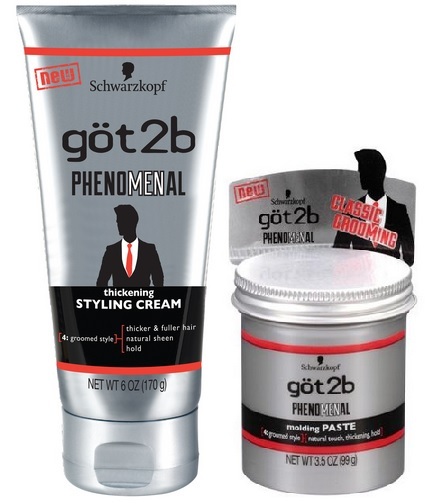 got2b Phenomenal Thickening Styling Cream - 170g - $7.99 - with a lightweight formula that increases hair's thickness by 10% for fuller looking hair while keeping it looking neat and groomed; and Molding Paste - 99g - $7.99 - a shaping pomade that provides thickness, hold and style. Available now at Shoppers Drug Mart, Walmart, Loblaws, PharmaPlus, Rexall, London Drugs, Jean Coutu and other retailers across Canada.